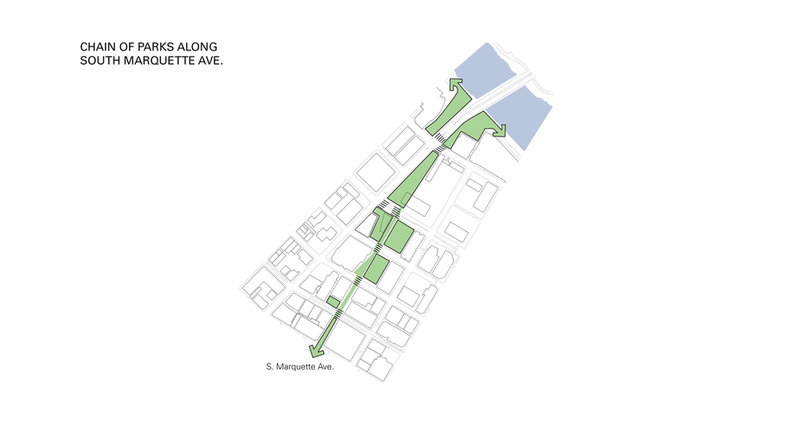 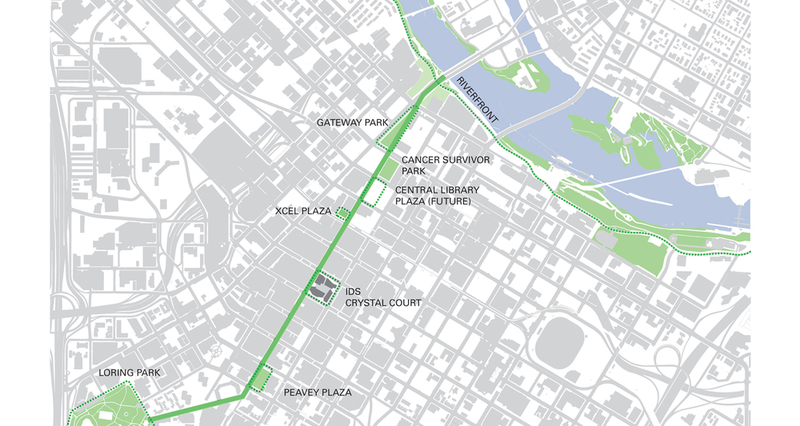 The proposed Gateway Center Project added a crucial development component in the city of Minneapolis’ plan to define the city’s central core while connecting Downtown and Nicolet Avenue Mall to the Mississippi River Park System with a series of public green spaces. 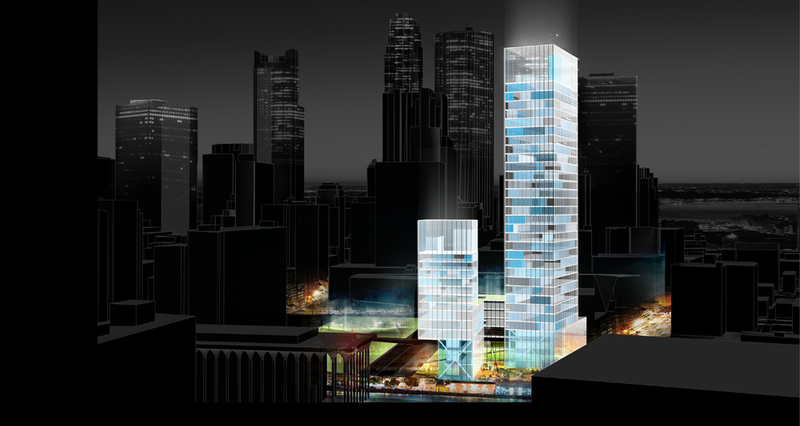 Positioned next to the recently completed Minneapolis Public Library designed by Cesar Pelli and the former Federal Reserve Building designed by Gunner Birkerts, the proposed 34-story, 560,000 square foot (52,000 square meter) project included a residential tower, hotel and conference center, retail and multimodal transportation hub. 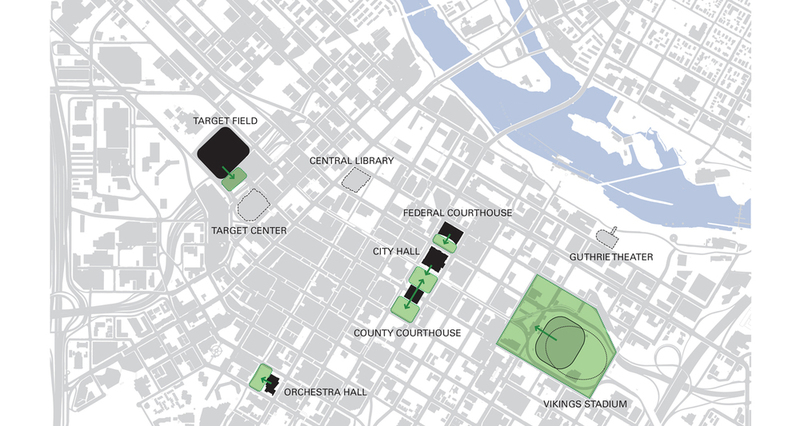 The project included major civic-scaled venues for special events and conferences with spectacular views of the skyline and the Mississippi River. 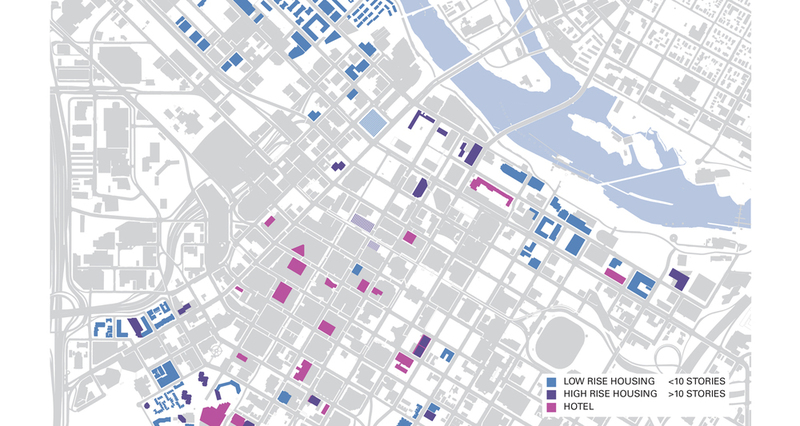 The 175,000 square foot hotel and conference center included the upper level City Room for events and a rooftop restaurant called the Panorama. 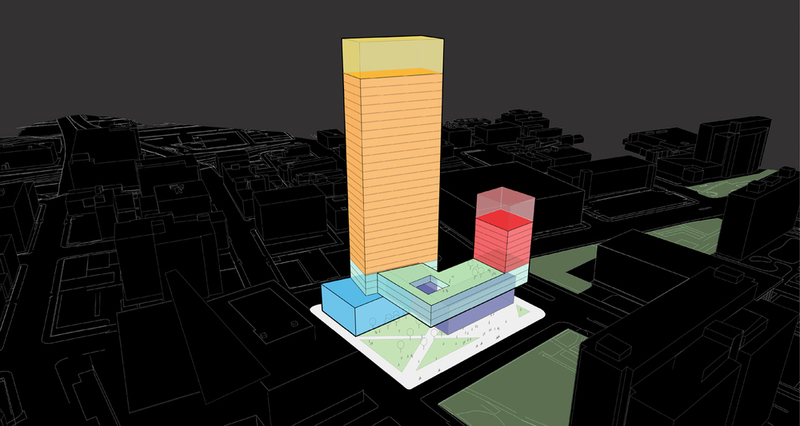 The elevated building elements float above a glass atrium and plaza creating a symbolic gateway and entry to the downtown core. 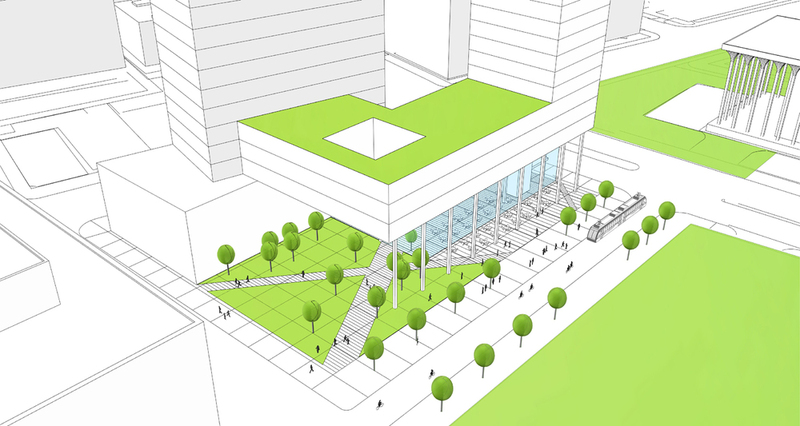 The enclosed civic space connects plazas and green spaces, extending the pedestrian oriented Nicolet Mall toward the riverfront parkway.